Abstract: With the considerate design, Airwheel H3S power chair is convenient and safe and brings a more comfortable riding experience for riders. Airwheel H3S smart chair is portable, convenient and safe that worth your attention. It features intelligent joystick controller, automatic folding system and dual ride modes. For the old, H3S is not only a good transport, but also a kind of social activity. Riders can make more friends. With Airwheel, their life may become more colourful. 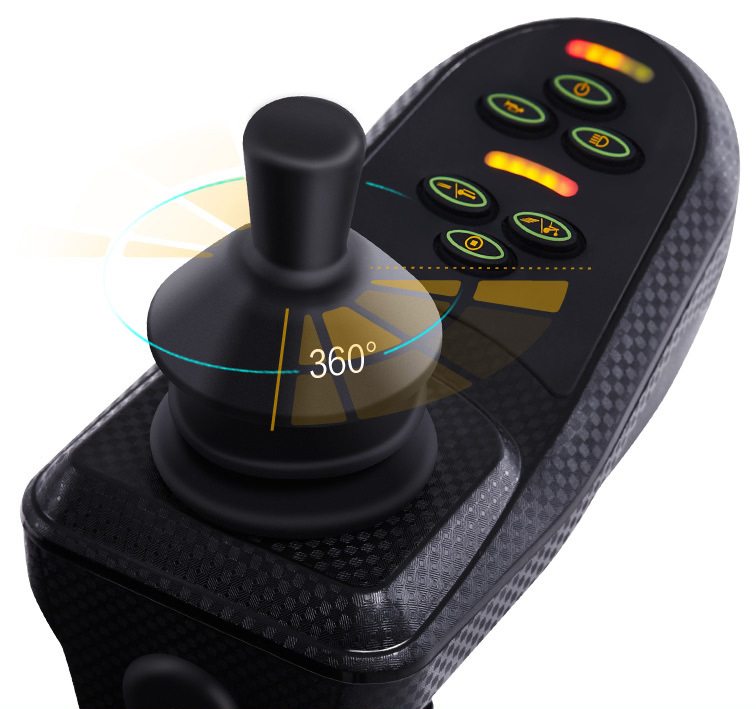 Controllers are most commonly an arm-rest mounted joystick which may have additional controls to allow the user to tailor sensitivity or access multiple control modes. Yes, all the controls of H3S automatic folding electric wheelchair are realized on the intelligent controller. To go forward, backward or to turn left or right, riders just push the controller to the corresponding direction. To reverse, H3S will keep beeping to give riders and others reminders. In addition to this, there is a fold/unfold button on the controller. Moreover, there is a headlight under the controller. Its handlebar made of high quality instead of the rubber. H3S is convenient with the brand new folding point and concealed lock catch design. Its automatic folding system enables H3S can be easily stored in a car trunk. Riders just push the fold or unfold button. Unlike the traditional wheelchairs, H3S motorized wheelchair has dual ride modes—either by manual labour or by lithium battery. In the electric mode, the branded lithium batteries with eight protection systems can effectively length the battery's service life. Also, the rear gear motor with dual drive provides powerful kinetic energy. Furthermore, to ensure riders' safety, H3S installs a manual brake to guarantee rider's safety in emergency. 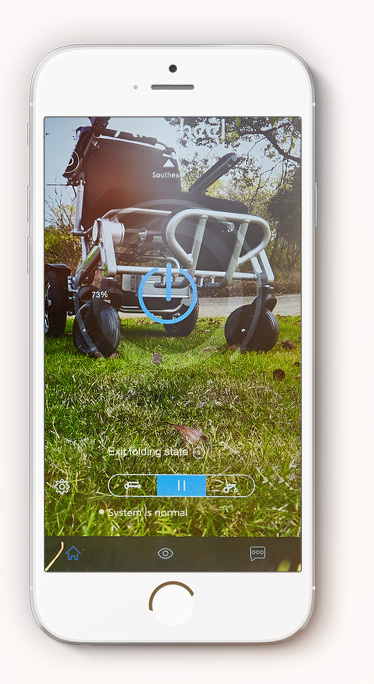 Airwheel H3S power chair has its exclusive App. In addition to learning the basic data, its App fault self-diagnosis is able to guarantee rider's safety before travelling. H3S is useful for those unable to propel a manual wheelchair or who may need to use a wheelchair for distances or over terrain, which would be fatiguing in a manual wheelchair. In a word, Airwheel H3S is unprecedentedly comfortable and safe making it an ideal PT for the old to get around.